Augmented reality could come in very handy for those of us prone to losing things—namely, our wallets. 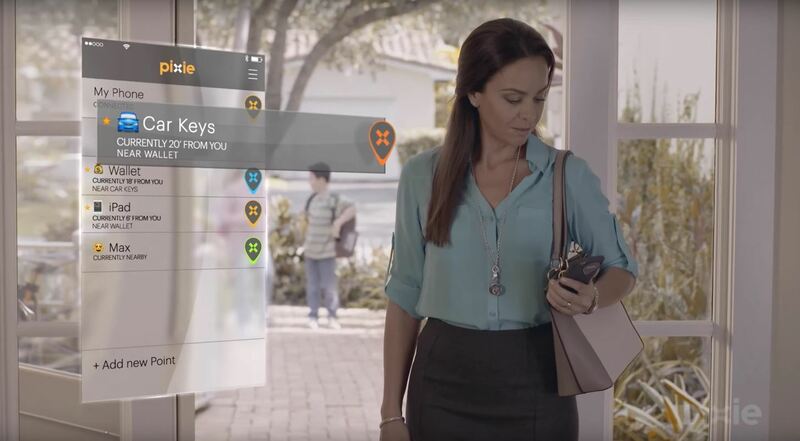 Pixie Technology, a company from Los Altos, California, has developed a way to locate your lost wallet and keys using AR technology and tracking chips, a platform they call the "Location of Things." The startup, founded in 2011, sells Bluetooth LE-connected fobs called "Points" which help to find more or less anything that you're afraid of losing. 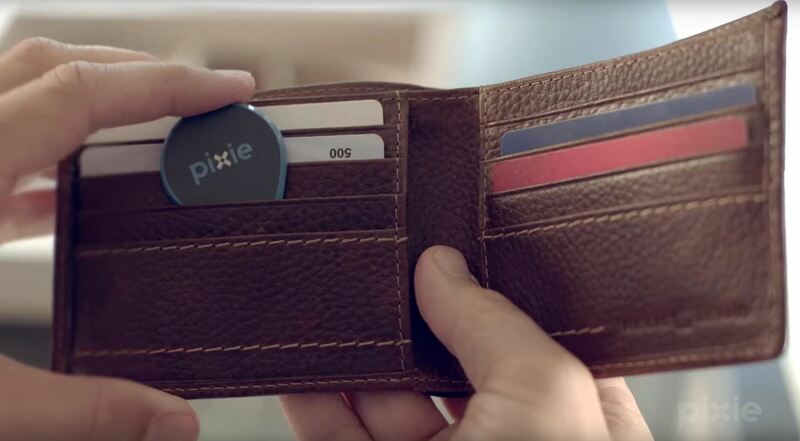 Last year, Pixie managed to raise $18.5 million to fund their innovative devices. We're also fans of the app's witty tagline, which promises "peace of find" once you download it. The concept is simple yet extremely effective. Pixie Points create a connection with each other, so just attach a Point to your smartphone, download the app, and then attach the other fobs to your various items. Each Point includes a 2.4 GHz ISM controller, 802.15.4a radio, power management unit, LiMnO2 primary battery, and a wide-band antenna. If you are holding your smartphone with a Point attached, for example, it connects to another Point nearby. The location information will then guide you to the Point attached to whatever you're looking for, and this is where AR technology comes into play. Users access the Pixie app on their iPhone (Android support coming soon) before pointing their camera in a particular direction. If the fob is in "Pixie range," i.e., within 150 feet outside, or 30–50 feet inside, it will appear on your camera screen in an AR overlay of your surroundings. The app scans the location, maps the immediate environment, and then triangulates the location of the item in relation to the user. Alternatively, an arrow can point the user in the right direction, by pressing the "Show Me" button. A swarm of dots (i.e., Pixie dust) will appear on the camera screen where the item is located, which is handy for tablets and keys lurking behind cushions. Furthermore, the app acts as a metal detector when you're 5 feet away via a series of beeps to indicate when you're getting closer. However, there's also a solution if your stuff is further away than you anticipated: The app will provide you with the Point's last known GPS location, street address, time, and date it was last seen on the app. Pixie achieves its AR innovation by utilizing mesh networking technology, which both enhances the precision while expanding the range of its Pixie Points. In lieu of relying on a central hub, this ensures that all the enabled devices can communicate and interconnect. Pixie Point ownership management is organized via the Pixie Cloud, which retains strict privacy standards, according to the company. I was trying to find a smart location solution, and I didn't find one. I thought about it, and so I started to create one. People thought of lost keys as a hardship, a fact of life you have to live with. I thought of it as a problem that you can solve. A pack of four Pixie Points costs $89.99 and the battery is non-replaceable, lasting about a year. The device itself runs on iOS 9 and up and supports iPhone 7 and 7 Plus, iPhone 6s and 6s Plus, and the iPhone SE and 5s, as well as iPads with Lightning connectors. You can get it from the iOS App Store. Android support is coming in late-2017, according to the website.